Estate planning doesn’t work unless your executor, guardians, and beneficiaries can find all the documents and content you’ve left behind for them. Qwill is the only app that makes distributing your estate a painless process for your loved ones. For Qwill users: An automated distribution process lessens the burden on the family, friends, or professionals you put in charge of your estate. 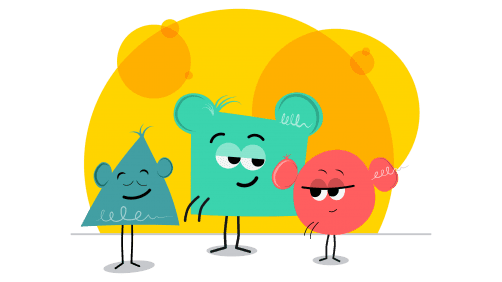 For named executors: Qwill puts all the important documents, account details, and memories that the testator left behind for you in one place. Follow these three steps to make sure your estate is ready for easy distribution to your executor. 1) Add details to your Vault. 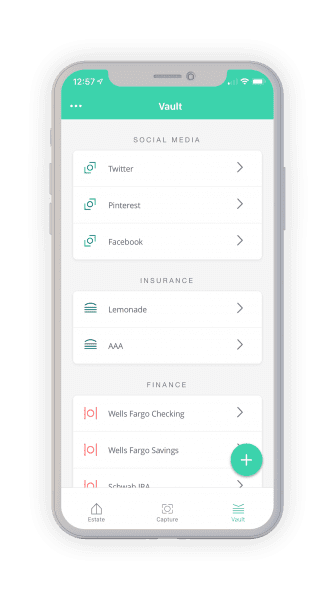 Add all the account details and instructions that you want your executor to have so they don’t have to search endlessly for them: Financial accounts, social media, cryptocurrency, insurance, home security, pet instructions…the list goes on. During the setup process, make sure to print out your Vault Kit, which includes your Vault Key, a private encryption code. Transfer all that’s valuable from one generation to the next: Treasures, memories, places and stories for the future. 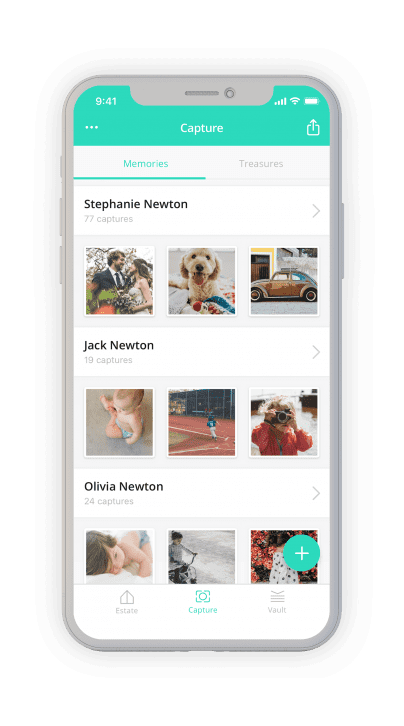 Be they nostalgic family videos, maps of your favorite places, or stories attached to cherished heirlooms, your Captures are priceless. Your executor will be able to access and distribute them along with the rest of your estate when the time comes. Store your Vault Key with your will and other legal documents. Tell your executor and beneficiaries that you have a Qwill account that contains all the important details you want them to have – even better, give them this URL: https://qwill.io/distribute. When it’s time to distribute your estate, your executor can visit this site and follow the instructions below. We’ll make sure this page is always up-to-date. Visit our web app at https://app.qwill.io and click “Sign Up” or “Sign In” if you’re already a Qwill user. An account is required to report a Qwill user’s death and access the details they left for you. You’ll be asked to upload a certified copy of the death certificate, as well as a copy of your official ID. Once uploaded, we’ll work to verify their death and your authorization. 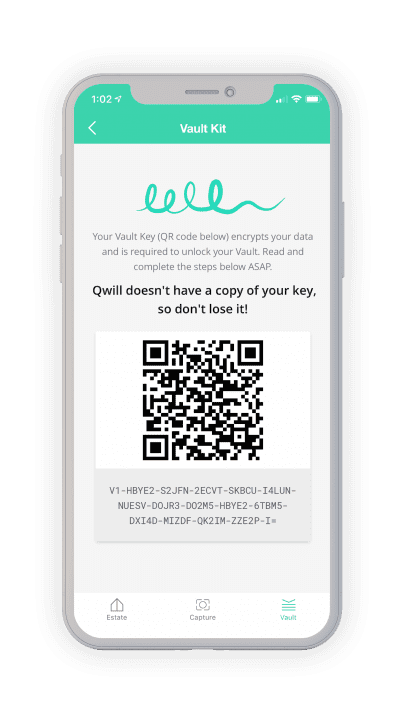 Upon verification, we’ll email you (or the executor), with the location of the user’s will and instructions on how to access their account details from your own Qwill account.